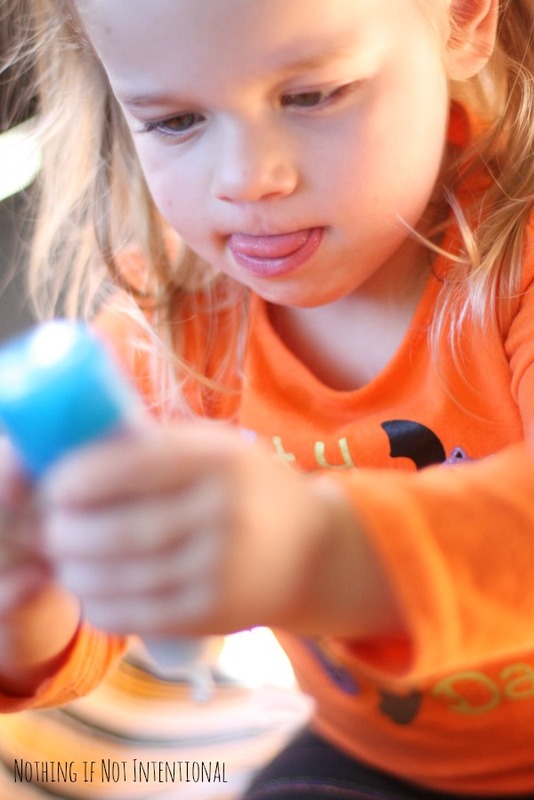 Have you shared its sparkly awesomeness with your toddler or preschooler? Until the other day, I hadn’t. (Let’s face it…glitter + glue? Sounds like a mess!) But I had some glitter glue and some time (Daddy was on dinner cleanup/baby duty), so I decided to introduce Big Sister to the wonderful world of glitter and sparkles. And, guess what? My two-year-old daughter thought it was (wait for it!) APPLESAUCE. We started by drawing some shapes to decorate on a piece of construction paper, and then she went to town smushing, squeezing, and smearing glitter all over the paper. 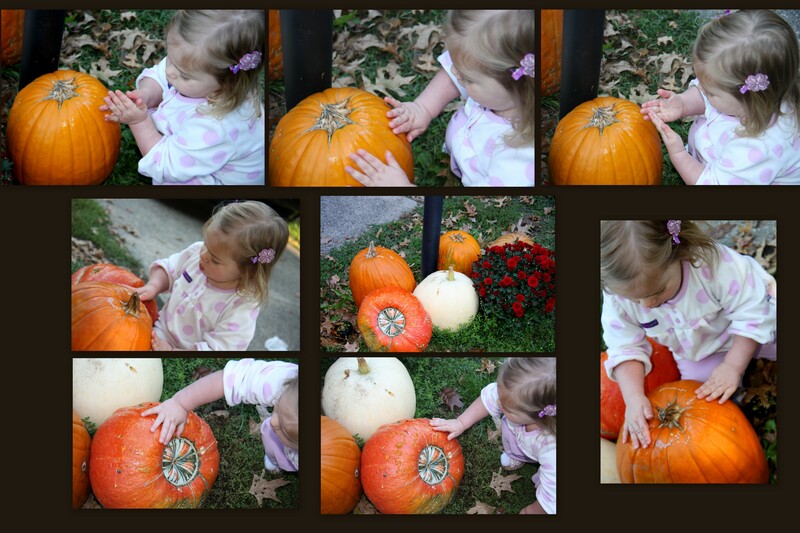 We also took our glitter outside and covered a few of Papaw’s pumpkins. Why? Because it’s fall. 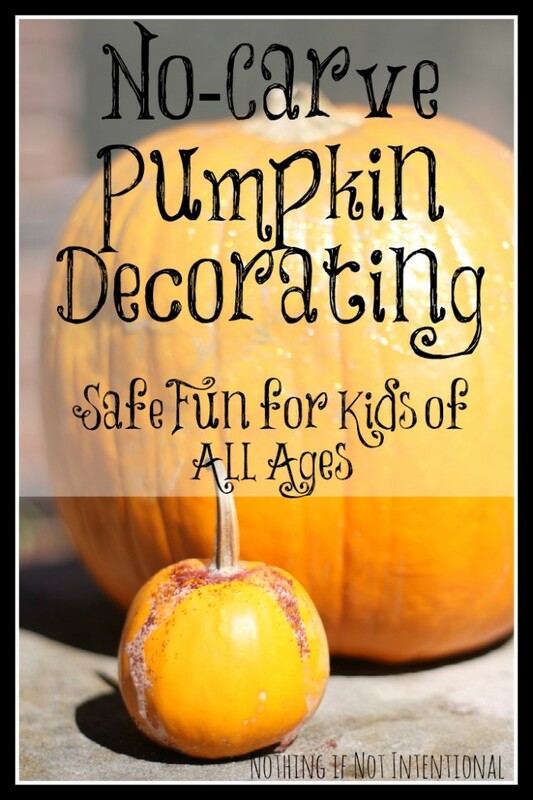 And glittery pumpkins are fun for fall. What’s more, the local squirrels think our pumpkins make a delicious snack. To discourage the little buggers, we’ve tried spraying our pumpkins with hairspray, coating them with hot sauce, and now covering them with glitter. I know the glitter will wash off in the rain, but it’s a pretty way to discourage them for a day or two. Smear glittery goodness all over the pumpkin. 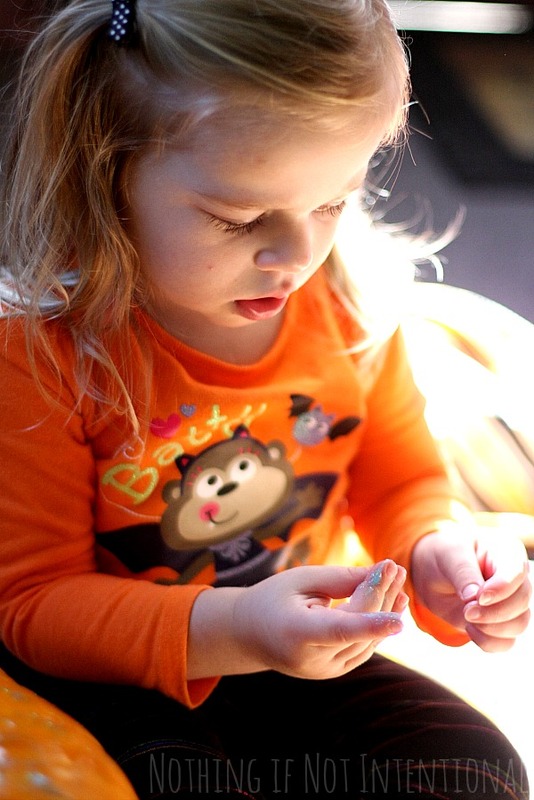 Marvel at the texture of the glue as it dries on her hand. Please note the tongue. 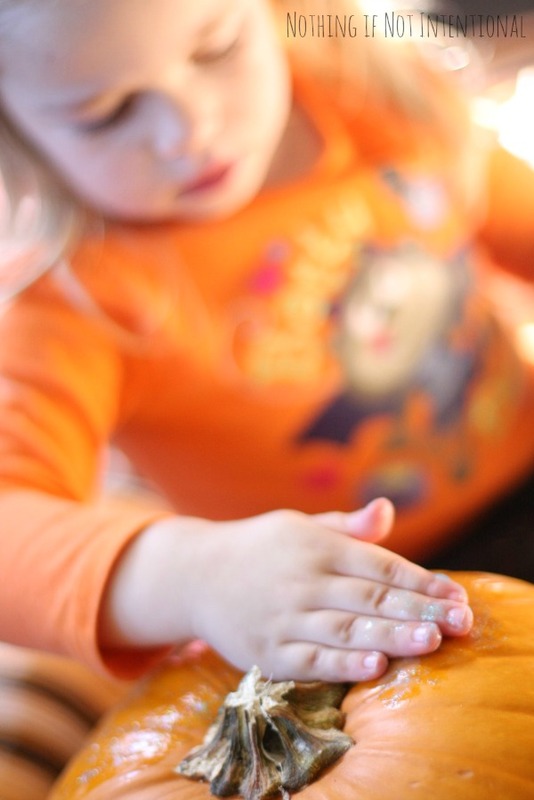 Pumpkin decorating is hard work. 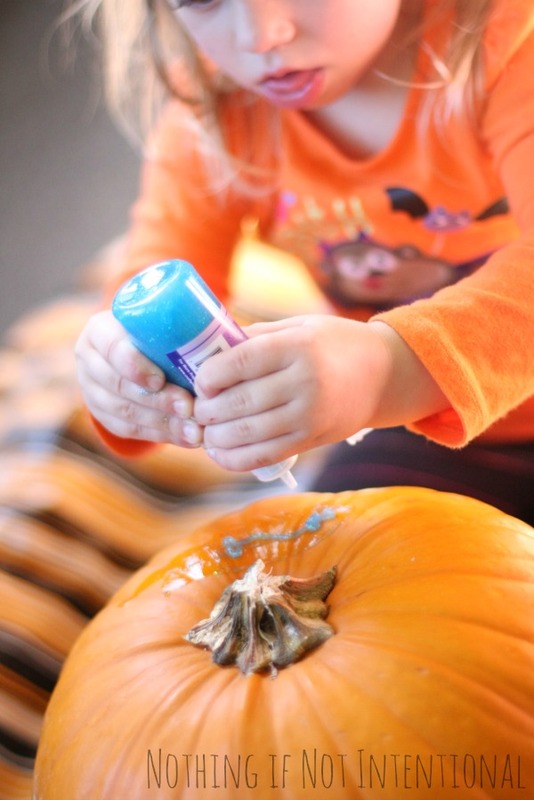 Apparently, glitter glue pumpkins are becoming something of a yearly tradition at our house! ← This “best beach” is nowhere near the ocean!